This new, large anthological exhibition at Civico Museo Parisi-Valle di Maccagno will tell us the story of the museum’s ten years of acquisitions, and that of the masterpieces that make up its permanent collections. From December 4, 2016 through February 5, 2017 you will be able to enjoy over 200 works, all of them collected through our acquisition project started by Claudio Rizzi in 2006. Clara Castaldo designed this exhibit that opens with the famous drawing by Pablo Picasso "Studio per il bagno turco," which the museum’s founder wanted to be one of the first works to become part of the permanent collection. Four sensual female nudes relax inside a wide colonnade, a minimalistic, classic architecture reminiscent of the paintings by Jean Auguste Dominique Ingres and Pierre Auguste Renoir. The museum’s firm intention to communicate and share the diversity and wealth of its collections – so rich in paintings and sculptures - is reaffirmed through this multifaceted and inspiring cultural event. Fabio Passera, mayor of Maccagno con Pino e Veddasca, said, “The communal collection doesn’t just prove our will to organize and promote an ever-growing number of cultural activities: it also bears witness to the friendship and respect we’ve earned from artists, critics, collectors and all contemporary art lovers who have visited Maccagno, whether physically or virtually. The new exhibition "Da Picasso a Pomodoro. Le collezioni d'Arte del Civico Museo di Maccagno" doesn’t deviate from that path and once again invites artists and collectors to be an active part of this further step towards a future whose objective is not a mere growth in terms of quantity, but in terms of quality of the works that make up the museum’s collection. 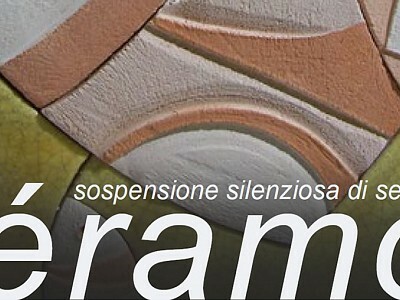 REAL ART is the name of the project that will be presented during the inauguration of the exhibit. This is a previously unpublished portfolio containing unique works by contemporary artists, signed by the artists themselves. This second issue (130 copies, limited edition) includes works by Antonio Bandirali, Fabio De Vivo, Flycat, Vittore Frattini, Ralph Hall, Ruggero Maggi, Enrico Manera, Silvio Monti, Patrick Moya, Antonio Pedretti, Peter Hide 311065, Antonio Pizzolante, Isabella Rigamonti, and Alessandro Traina. For every artist there are two pages: one with a print and the other with an original work. It’s a sort of little museum on paper that invites to enjoy art with your sense of touch as well as sight. This project designed by Franco Crugnola’s Architectural Studio in Varese has received plenty of support from museums and institutions, even when it was still in its planning phase. So much support, in fact, that it was presented within an itinerant exhibit moving throughout our province. This volume will be available in many bookshops in Varese and its province, and in the following museums and galleries: Museo MA*GA in Gallarate, Museo Bodini in Gemonio, Museo Parisi Valle in Maccagno con Pino e Veddasca, Galleria Biancoscuro in Pavia, Galleria Cart 70-10 in Monza, Meeting Art in Vercelli, Showcase Gallery in Varese. Artists, printing companies, publishers and journalist collaborate in the making of this project in the name of Art and solidarity. In fact, all the earnings from each year’s edition are donated to local a non- profit association. This year the money from the sales will be donated to Fondazione Giacomo Ascoli in Varese, which made and maintains the Hematology-oncology Day Hospital ward within Ospedale del Ponte in Varese. This association’s purpose is to improve sick children’s quality of life, help the families of children suffering from these kinds of diseases, and support scientific research, especially regarding pediatric lymphoma. Associazione Ponte Degli Artisti has joined and supports the project “Terzo Paradiso (“Third Heaven”), conceived and designed by Michelangelo Pistoletto and Cittadella dell’Arte. Saturday, December 10 at 11:00 am a low environmental impact installation will be displayed. This is a concept that fits Terzo Paradiso’s philosophy, which is based on the concepts of care, solidarity, responsibility and protection. Inside the museum (Civico Museo di Maccagno) a collective work inspired by the works of Pistoletto will be displayed. Many “artistic,” as well as common, chairs will be joined with a thread to form the symbol designed by the artist from Biella. This is intended to be a welcoming message of solidarity for all the populations who emigrate and who have emigrated throughout the centuries. to create side events to support the project by inserting them into the main installation (Terzo Paradiso symbol created with chairs). Any artistic performance is welcome (painting, music, sculpture, poetry), as long as it enhances and improves upon the main event and it help spread the Rebirth-Day message for Terzo Paradiso.